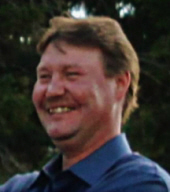 Thomas Bernard Leikness, 48, of Watertown, died March 30, 2019 at Hospice Care at Edgerton Hospital. Tom had prostate cancer which had metastasized to his bones when it was diagnosed in February, 2016. Tom was born April 26, 1970 in Waukesha WI. He attended Waukesha South High School and was a long time employee of Sharpe Products in New Berlin, WI. He married Kimberly Drabek on June 26, 2016. Tom is survived by his wife, Kimberly M Leikness(Drabek), daughters; Cassandra (Vinny) Cresci, and Kaylee(Nick Cresci) Russell, sons; Dylan Drabek, Doug and Tony Brazelton, sisters; Julie (Bob) Benedict, Sandra (Mike Burke) Cheney, Mary (Jay Esser) Farkas, brothers; Jack Leikness, Michael Leikness, Jamie Schanen, mother/father-in-law; Judy(Richard) Thom, Richard (Sue) Drabek, sister/brother-in-laws; Tina (Mike) Prock, Tim (Cristi) Drabek, Michael (Laura) Drabek, Lisa (Cory) Zick, grandchildren; Jayden, Leo, Nicholas, Dawn, Hazel and Charlotte (due in June), nieces; Kara, Steph, Cass, Kimbery Evans, nephews; Michael and Jason Cheney, Nick Leikness, and lots of cousins, aunts, uncles and great friends. He was preceded in death by his parents, Glenn and Carolyn Leikness, a brother, Roger D. Leikness, and his maternal and paternal grandparents. A Celebration of Life will be held at Hannon's in Waukesha, WI on Sunday, April 7th from 11am - 4 pm. There will be a service at 12:00 noon, with Reverend David Brynelson officiating. Please wear your Packer gear. A heartfelt thank you to the caring doctors and nurses at Heartland Hospice Care and Edgerton Hospital for being there for us in Tom’s final days. A special thank you to Uncle Bob Witkowski for his generous heart. To send flowers or a remembrance gift to the family of Thomas Bernard Leikness, please visit our Tribute Store. "Email Address" would like to share the life celebration of Thomas Bernard Leikness. Click on the "link" to go to share a favorite memory or leave a condolence message for the family.